MYRTLE BEACH, S.C. — MyrtleBeachGolfTrips.com has unveiled its newest package – the Founders Group All-Inclusive – and players are flocking to the offer, which allows them to choose among 22 of the area’s best courses and includes free range balls, lunch and two draft beers each day. The Founders Group All-Inclusive golf course lineup features many of the Myrtle Beach area’s most prominent layouts, including top 100 caliber designs in the Grande Dunes Resort Course, TPC Myrtle Beach and King’s North at Myrtle Beach National. 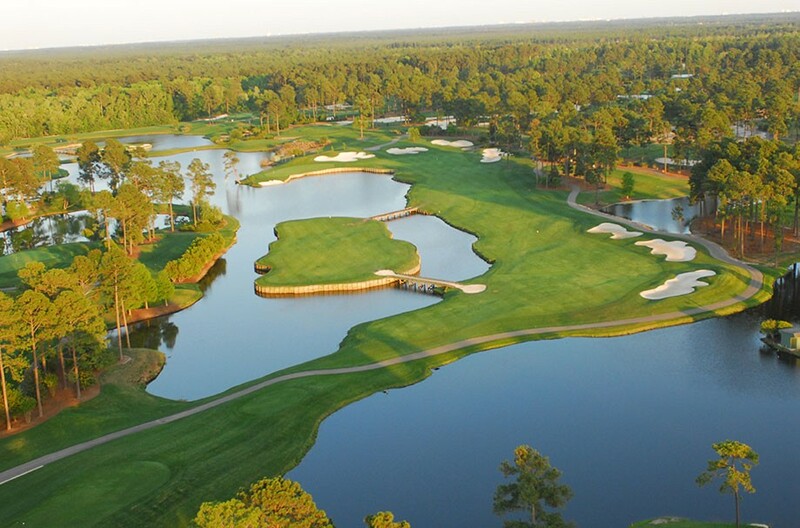 Pawleys Plantation and Long Bay Club, both highly regarded Jack Nicklaus designs, World Tour Golf Links and Pine Lakes Country Club, Myrtle Beach’s first course, are also among the headlining layouts in the package. The Founders Group All-Inclusive can be booked as golf-only or stay-and-play package, and it begins at just $55 per day for tee times. The package’s complete lineup of courses also includes: Aberdeen Country Club, Burning Ridge, Colonial Charters, Founders Club, Indian Wells, Litchfield Country Club, SouthCreek at Myrtle Beach National, West Course at Myrtle Beach National, PineHills and Palmetto courses at Myrtlewood, River Club, River Hills, Tradition, Wild Wing Avocet and Willbrook Plantation. MyrtleBeachGolfTrips.com is the Grand Strand’s ultimate resource, providing players access to the area’s best package offers, videos, latest news, and more than 100,000 player reviews to help plan and book a golf vacation. For more information, visit www.MyrtleBeachGolfTrips.com or call 866-694-2448. Founders Group International (FGI) is the foremost golf course owner-operator company in the Southeastern United States. Formed in 2014 through various purchases and the 2015 acquisition of National Golf Management, FGI owns and operates 22 golf courses (423 holes) in and around Myrtle Beach, S.C., America’s seaside golf capital. Those courses include Pine Lakes Country Club, the “granddaddy” of Myrtle Beach area courses; TPC Myrtle Beach, host site of the 2019 NCAA Division I men’s golf regional and Dustin Johnson World Junior Golf Championship; and Grande Dunes Resort Club, home of the Grande Dunes Golf Performance Center. FGI administers http://www.MBN.com, a leader in online tee time bookings, as well as package outlet Myrtle Beach Golf Trips. With the help of Golf Insider’s 100 percent player-generated course ranking system, thousands of golfers plan and assemble their ideal golf itineraries through FGI’s assets, including “top-100 caliber” courses Pawleys Plantation Golf & Country Club, King’s North at Myrtle Beach National Golf Club, and more than 80 other Myrtle Beach area courses. More information about Founders Group International is available at http://www.foundersgroupinternational.com, http://www.mbn.com or MyrtleBeachGolfTrips.com.